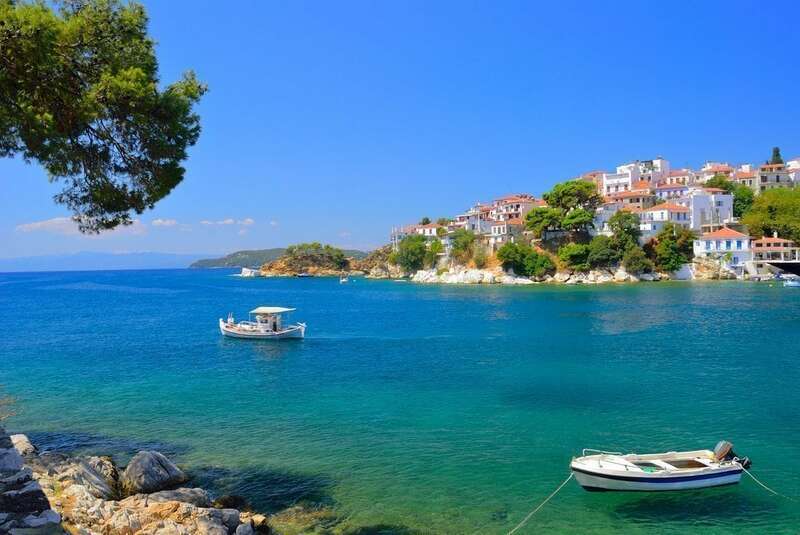 The most cosmopolitan island of the Sporades, Skiathos, is one of the most popular destinations in Greece. Its beautiful natural harbour is a heaven for yachts and small boats, a feature which gives the island a strong cosmopolitan character. 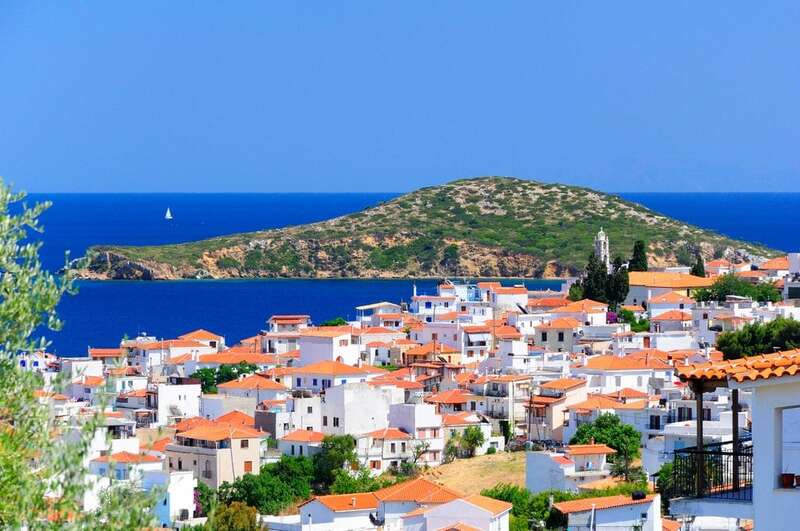 The town of Skiathos is also known for its picturesque paved streets and whitewashed houses with magnificent views over the Aegean Sea. Bourtzi is a small pine covered peninsula that separates the port of Skiathos into two, featuring a beautiful Venetian fortress and old neoclassical buildings that currently house the Skiathos Cultural Center. The island offers more than 60 exquisite beaches, among which the Koukounaries beach, with its famous pine forest reaching almost to the sea, and the lagoon Strofilia, a rare ecosystem and a protected natural area. 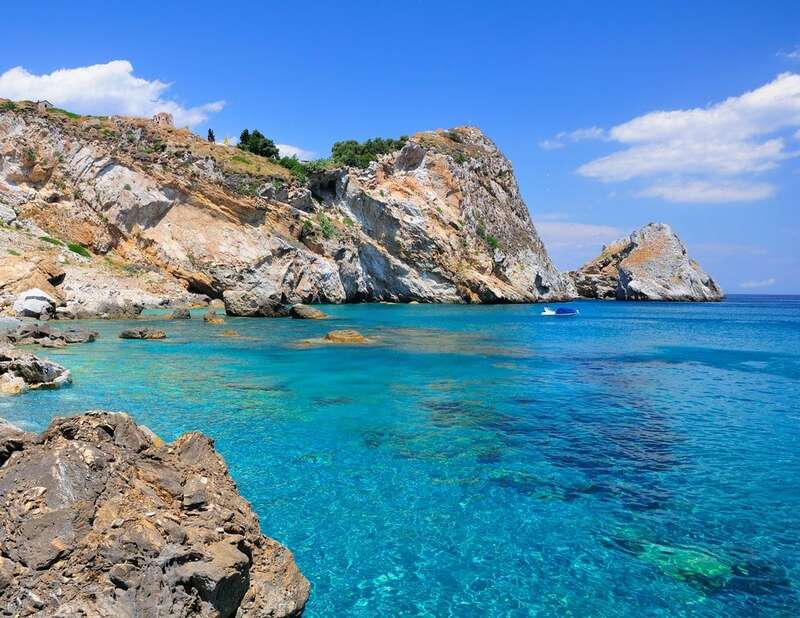 Also very famous the Lalaria Beach, with its imposing rocks, is one of the most beautiful beaches of Greece and the popular bay of Krasa, a lovely pine-covered beach, that attracts many young people.